For Victor Okorie, joining the Kellogg Community College Nursing Program this fall was the culmination of a paradigm shift that led him from the banking industry of Nigeria to the health care field in Michigan. Okorie says he wants to be a nurse to help patients using non-pharmacological tools – things like massage or the simple act of providing a warm blanket – to supplement the more traditional approaches to pain management. Most importantly, though, Okorie says he wants to help give patients hope, and to save lives. 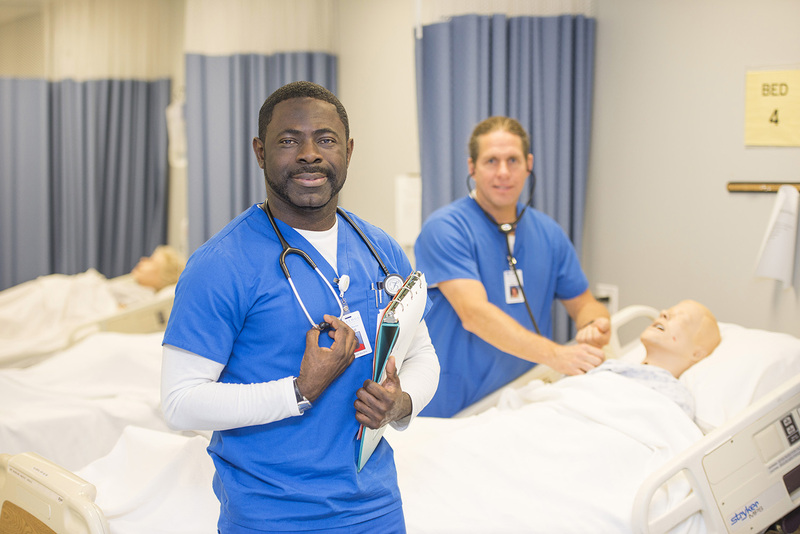 A certified nursing assistant (CNA) at Henry Ford Allegiance Health in Jackson for the past five and a half years, Okorie says he chose KCC’s Nursing Program over others because the College is a trusted name in health care education, offering one of the best nursing schools in the state. After graduating from KCC, Okorie plans on pursuing a bachelor’s degree in nursing, possibly from the University of Michigan, and perhaps work in cardiovascular or critical care nursing, “where the sickest of the sickest” are, he says.